With Father's Day just a few weeks away, and don't you want to bring a smile to your old man's face when he opens up the gift from you? Luckily, most guys are relatively easy to buy for; a new tool usually does the trick. We've compiled a list of 10 cool tools (at a variety of price points) that should delight the shade tree mechanic, the woodworker, and the ardent do-it-yourselfer on your list this year. Many guys can overlook clutter around the house, rooms that are aching for repainting, and even dripping faucets and loose shingles. But their car is another story; let it show signs of neglect and you've got a major guilt trip on your hands. One key to keeping a car showroom sharp is a gleaming finish. However, when using a good paste wax, buffing it out to a crisp shine can be quite laborious. 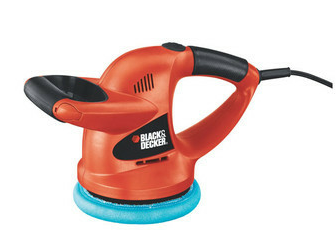 A car buffer/polisher like the Black & Decker WP900 6-Inch Random Orbit Waxer/Polisher ($29.99 with $6.99 s&h, a low by $1) makes this a breeze. It's also useful when paint has oxidized and needs a rub-out as it runs at 4,400 orbits a minute, has a 6-inch pad with applicator and buffing bonnets. It should bring a shine to the face of any proud papa. Sure, Dad could drive his ride down to the car wash to have it cleaned it with a pressure wand, but why not let him do it himself at home in the driveway and save a handful of quarters? 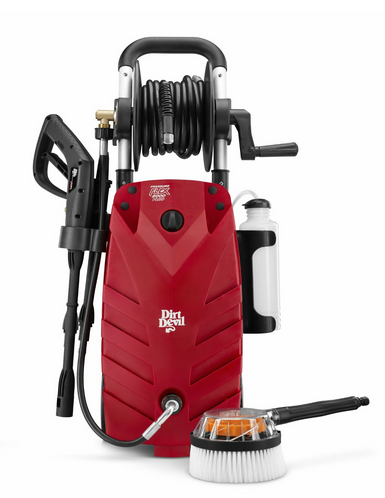 The Dirt Devil Pressure Flex 2,000 Plus Electric Pressure Washer ($149.99 with free shipping, a low by $24) comes with a 19-foot hose, a spray gun with a wand, a 35-foot power cord and a rotary-driven scrub brush. Not only does pressure washer work on cars, it's the perfect tool to clean decks, driveways, and hazy siding on the house. Does Dad change his own tires, and perhaps those of everyone in the family? Is he getting a bit long in the tooth to deal with the laborious conventional car jack? If so, the air jack may be the perfect gift. 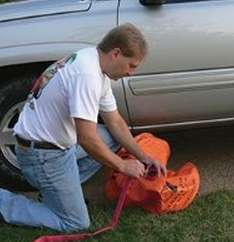 It uses the car's exhaust air to blow up a thick PVC pillow that is placed under the car at the jacking point. Over the course of a few minutes, it almost miraculously lifts and suspends the car on a cushion of air with the desire wheels off the ground. It takes little effort to use and is quite safe. The Titan 2-Ton Exhaust Air Jack ($49.99 with free shipping, a low by $25) is large enough to support an average automobile; the company also makes 3-ton and 4-ton models for heavier applications. The lug wrench, which is used to remove the nuts that secure the wheels of your car, is usually a cheap and inefficient tool made to save the manufacturer money. For a few bucks more, though, you can equip Dad with a much better version that utilizes the power of the lever. The Gorilla Automotive 1721 Telescoping Power Wrench ($15.91 with $3.43 s&h, a low by $4) includes the four most common socket sizes and a handle that expands to 21 inches for maximum leverage. Once upon a time, every guy had a tool box: a metal or plastic case in which he could pile his tools in a disorderly jumble. Nowadays, the classic toolbox has been redesigned as durable pieces of luggage with multiple pockets that allow you to keep your tools in orderly fashion. 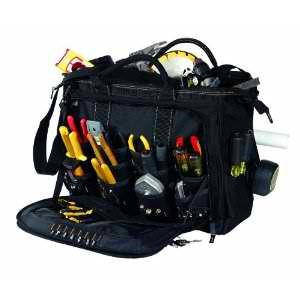 The Custom LeatherCraft 18 Multi-Compartment Tool Carrier ($56.49 with free shipping, a low by $9) is made of a heavy-duty poly fabric and has seven exterior pockets, and large outside compartments with 18 pockets each. There's enough space inside for your power drill and other large tools, too. Is your Dad tasked with putting up wallpaper? Laying a tile floor? Hanging family pictures in the living room? Any place where he'll need to know what is level with the ground and perpendicular to that level, the laser level square the answer. 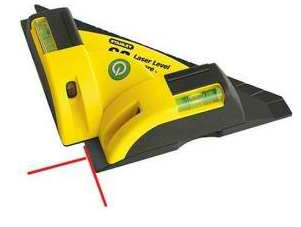 It sends out laser beams at right angles with remarkable accuracy. The Stanley 77-188 Laser Level Square ($29.99 with $4.95 s&h, a low by $2) provides lines with a range of up to 30 feet, has built-in spirit glass levels, and can be attached to a wall with the included adhesive putty. The days of hammering nails in wood in order to hold together a project are long gone. Now woodworkers use a compressor-driver nail gun to make attachments so fine they are almost invisible to the eye. A compressor can be useful for tasks other than finish and trim work, too. Certainly they come in handy when mounting shelving or inflating tires and toys. They can also be used with a paint gun to get a smooth paint finish on whatever your Dad is building at the moment. 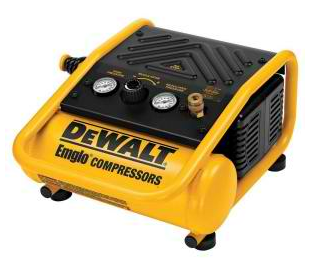 The DeWalt D55140 1-Gallon Trim Compressor ($119 with $10 s&h, a low by $48) is ideal for projects around the home, although not powerful enough for the construction site. It runs quietly, with a low current draw, has an oil-free long-life pump, and weighs only 24 pounds. How many times have you seen Dad working on a plumbing problem, or changing the oil in the family car, or searching the floor for a lost screw, trying to hold a weak flashlight in one hand? 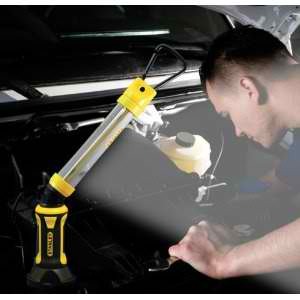 Why not gift him a better solution, like the Stanley BF0109 Barflex Work Light ($29.88 with free shipping, a low by $2)? It has a magnetic base and bends to any desired positions. Its LED lights operate off a long-life NiMh battery, which is rechargeable and the recharger is included. This tool should light up his life. We often don't credit the long-term damage to our hearing that can be wrought by the lawnmower, the power saw, and other Dad-driven devices. However, it can be hard to convince a father, who by tradition knows better, to wear protection. Why not offer him a reward for doing so? 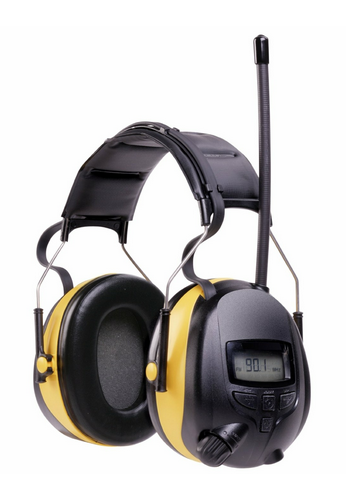 The 3M WorkTunes Hearing Protector and AM/FM Radio ($43.47 with free shipping, a low by $7) combines ear protection with a built-in radio so he can groove to the oldies while he cuts the grass. It even has a plug that allows him to get a feed from an MP3 player to widen his music options. The WorkTunes reduces sound by 22 decibels, which can make a difference over time in his hearing. If you care about Dad's ears, why not also look out for his eyes? Too often people operate power tools without eye protection, and a shard of plywood flying up from a table saw or a bit of aluminum off of a drill can wreak havoc on those delicate orbs. A good pair of goggles can save your father's vision. 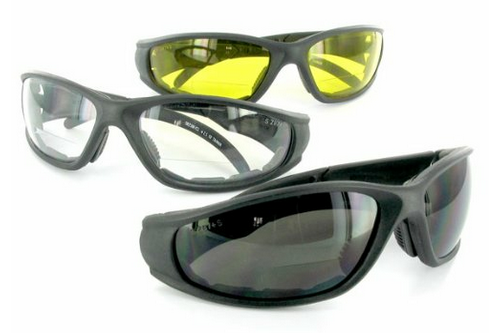 Many people find the all-enclosing type of googles too confining, so a nice compromise are the more fashionable Sportster Safety Goggles with Bifocal Reading Lenses ($24.99 with $4.75 s&h). 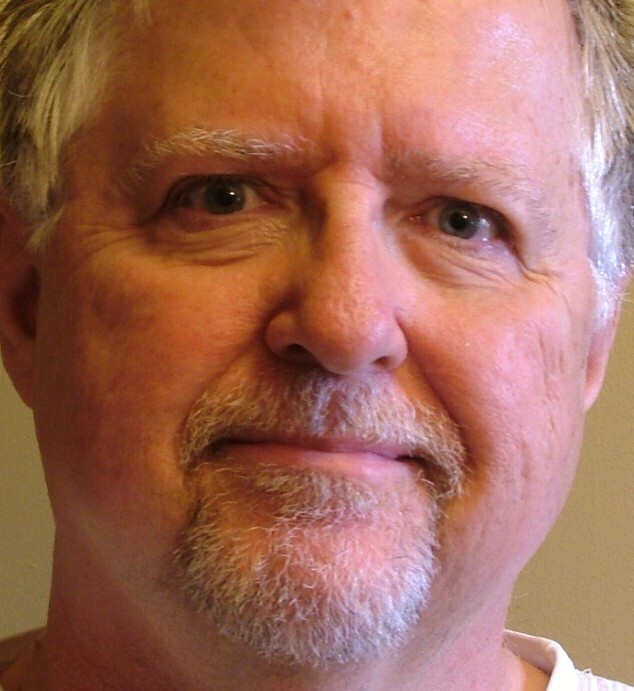 They feature a no-line bifocal that will allow Dad to read his blueprints without changing glasses. The bifocals come in a range of strengths and the glasses also offer UV400 protection. Of course, no tool will be received with as much pleasure by the average Dad as a simple hug of appreciation and affection. Nonetheless, it's nice to leave him with something that will cause him to remember you every time he uses it. I just emailed the family that I would like the Work Tunes hearing protection. I like that you can plug in an MP3 player. This was a lot more helpful than the typical Father's Day article. Too often, authors suggest something like a set of screwdrivers -- which are useful, of course, but what father doesn't already own a bunch of them? It was a pleasure to read a story that actually has some creative ideas for things that most dads don't already own. I do have some doubts about the air compressor mentioned here. For one thing, it doesn't include a nail gun or any other accessories, so there will be additional expense to actually do anything with it, even something as simple as inflating a tire. And it has a pretty small capacity too. Porter-Cable has a nicer model that's a bit bigger and includes several accessories. But really, anything on this list would be better than a necktie!